While there’s no such thing as a one-size-fits-all Alaska cruise, newbies and seasoned pros will always be guaranteed cinematic scenery, out-of-the-ordinary ports of call, and oceangoing adventures of epic proportions. Little wonder, then, that it’s one of the world’s most popular cruise destinations; not least because it makes light work of showcasing the very best of America’s 49th state (it’s also the most practical option given that so many places along its coastline aren’t road accessible). With this in mind, we’ve put together a list of reasons why you need to experience the Last Frontier from the water. The weather in Alaska can be unpredictable and challenging (its four seasons are different from most and the extreme cold weather can continue through into autumn and spring), so you’ll always be at the mercy of Mother Nature. Winter is a strict no-go, so the cruise season typically runs from the end of April to the beginning of October (with May and September as the “shoulder seasons” with better deals and far fewer crowds). Not only is this six-month window the safest time for cruise ships to sail, but it also means avoiding the freezing months of January and February when the earth has tilted and there’s hardly any sunlight. For those lucky enough not to be restricted by school term times, one of the best times to travel is in May and early June; not least for the wildflowers blooming along the Inside Passage, the migrating wildlife, and the chance to see icebergs and snowdrifts just before the “breakup” turns it into a melting and slushy mess. Equally standout are the peak summer months (from mid June to August) for glorious light-filled days when the sun simply refuses to set, temperatures that range from 60°F to 80°F (a surprisingly pleasant 40°F to 50°F at night), and rainfall that won’t ruin your sightseeing (the level varies depending on where you are in the state). This is also when cruise-goers make the most of ship facilities such as outdoor pools, sun decks, and swim-up bars. Not all Alaska cruises are created equal, so first-timers and old-salts tend to make their ship selection based on variables such as onboard facilities, itineraries, ports of call, and value for money (Canadian Sky’s operators include Celebrity Cruises, Holland America, Norwegian Cruise Line, Silversea, and Regent Seven Seas Cruises - all of which have a style to suit every budget). For many, though, size is what matters most. And the choice is twofold: a small boutique-style ship with scaled-down facilities, easy access to ports in remote areas, an intimate and cosy vibe, and no dressing up for dinner. Or a mega-vessel with state-of-the-art amenities, multiple wining and dining venues, glamorous Vegas-style entertainment, spas and fitness centres, endless cultural and educational programs, and the opportunity to be super-sociable. 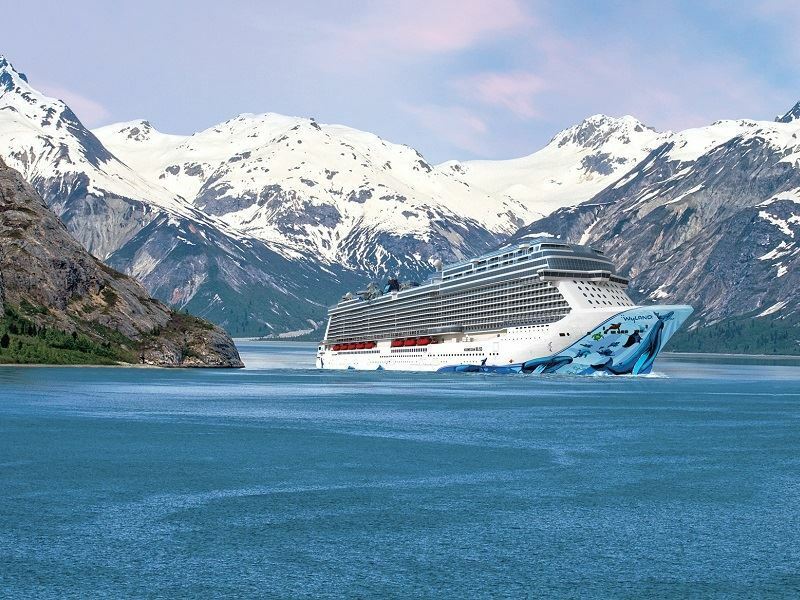 Some of the best go-to holidays that incorporate sailing on Alaska’s waterways include the 17-night Canadian Rockies Experience & Silversea Alaskan Cruise, the 14-night Luxury Regent Seven Seas Cruise Vancouver to San Francisco, and the 15-night Rocky Mountaineer & Norwegian Bliss Alaska Cruise. However familiar you are with the concept of cruising, it can get rather confusing when selecting the “right” accommodation. 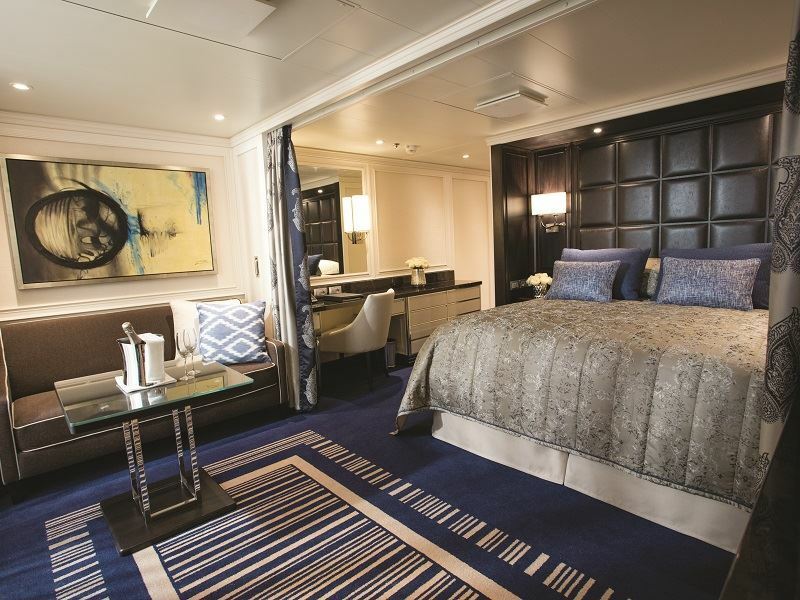 Staterooms (also called cabins) offer all the home-from-home comforts of a hotel guest room (albeit on a much smaller scale) and are categorised according to size, view, and price. 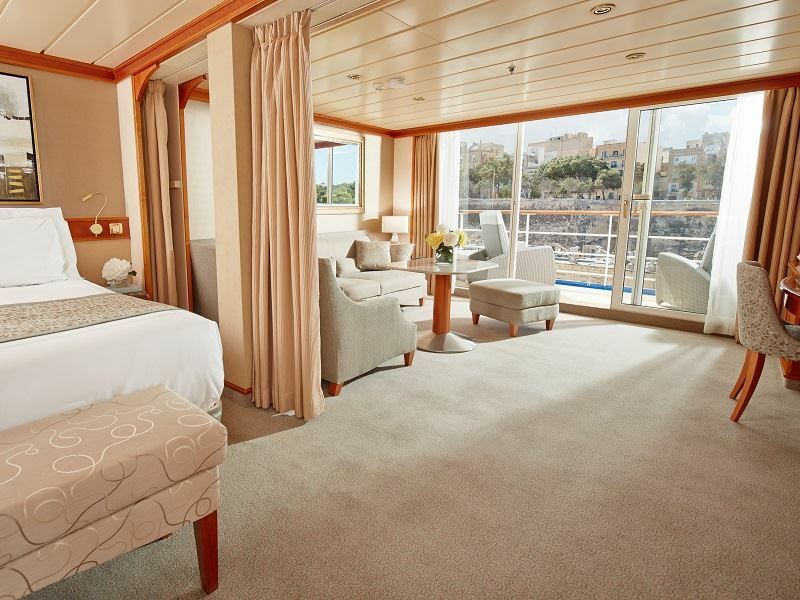 According to Cruise Critic, there are essentially only four types of stateroom on any cruise vessel: inside (the smallest-sized room, with no window), outside (a small room with a window or porthole), balcony (a room with a private outdoor space), and suite (the largest and most luxe room, often with separate living and sleeping areas). And then, of course, you’ll need to consider the location of your living quarters (a top tip is to choose mid-ship on the lowest deck and avoid the higher decks at the very front and back, especially if you’re prone to motion sickness). 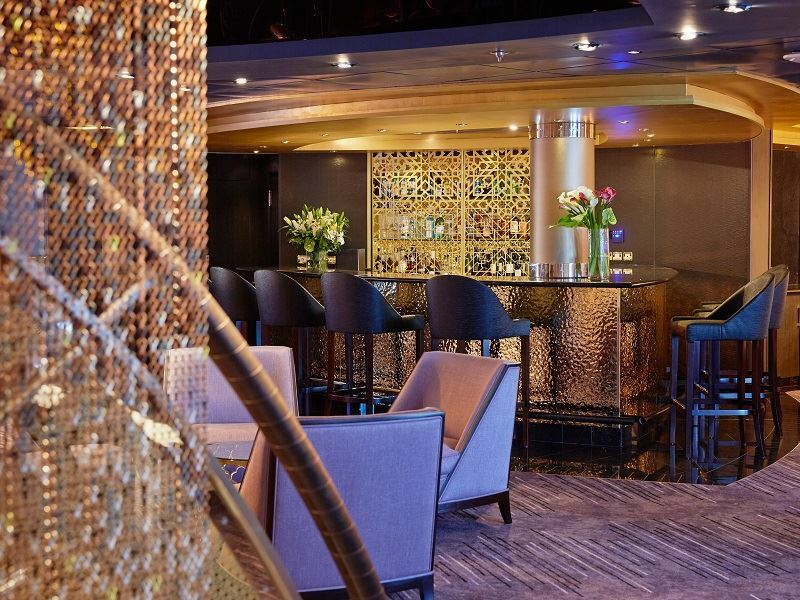 For those who want to cruise Alaska in style, few staterooms rival those found on Norwegian Cruise Line’s Bliss and Regent Seven Seas Cruises’ Mariner. Both offer stylish and spoiling guest spaces with sleek décor, king-size beds, flatscreen TVs with digital channels and movies-on-demand, Wi-Fi access, walk-in wardrobes, marble bathrooms with plush bathrobes and high-end toiletries, and generous-sized balconies. Equally tempting are the culinary bells and whistles, including a bottle of champagne and fresh fruit on arrival, 24-hour room service, complimentary wine and spirits, and an invitation to the captain’s private cocktail party. Although big-name cruise liners steadily complete for the best “never before seen at sea” attractions (from Broadway-style shows and renditions of Shakespeare's plays to extravagant casino nights with soaring acrobats), little beats the action taking place outside your balcony; think idyllic coves and bays, forest-clad islands, ice-carved fjords, tidewater glaciers, soaring mountains, and wild maritime encounters. 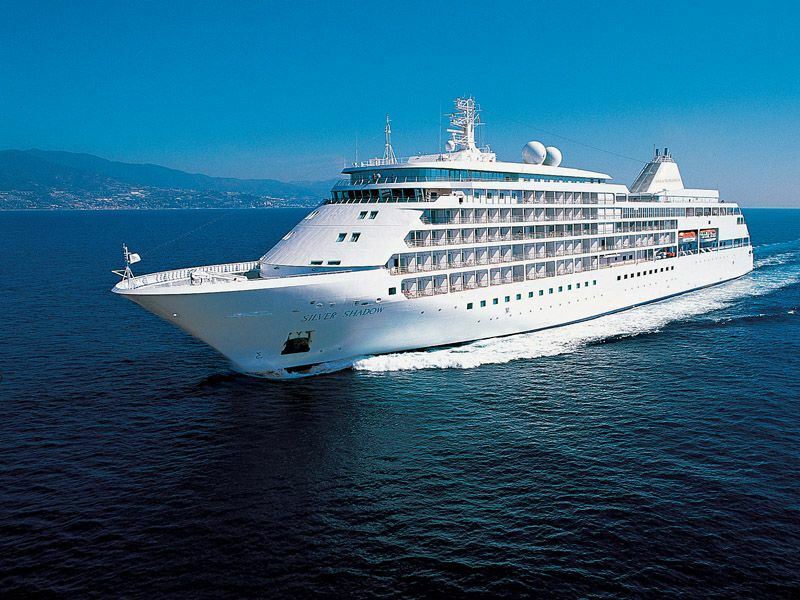 However, given that cruising Alaska involves spending many, many hours at sea, it’s crucial that the on-board activities (attending lectures by experts, swimming in the outdoor pool, or relaxing with a cocktail at one of the bars or lounges) are a memorable part of your experience. Of equal importance is the dining, which always includes a buffet-style breakfast, lunch, and dinner for the duration (there’s usually a charge for the à la carte restaurants). Much of the cuisine will be local Alaskan fare, so you may well end up trying five types of salmon (chum, sockeye, king, silver, and pink), buckets of crab legs served with melted butter, seafood chowder, fresh-off-the-boat oysters, caribou steak, bison burgers, and sourdough (a staple at mealtimes since the Klondike Gold Rush days). Equally noteworthy are the fancy add-ons such as spas, gyms, waterparks, kids’ zones, and coffee shops (in a nod to its homeport of Seattle, Norwegian Cruise Line’s Bliss has a full-service Starbucks). 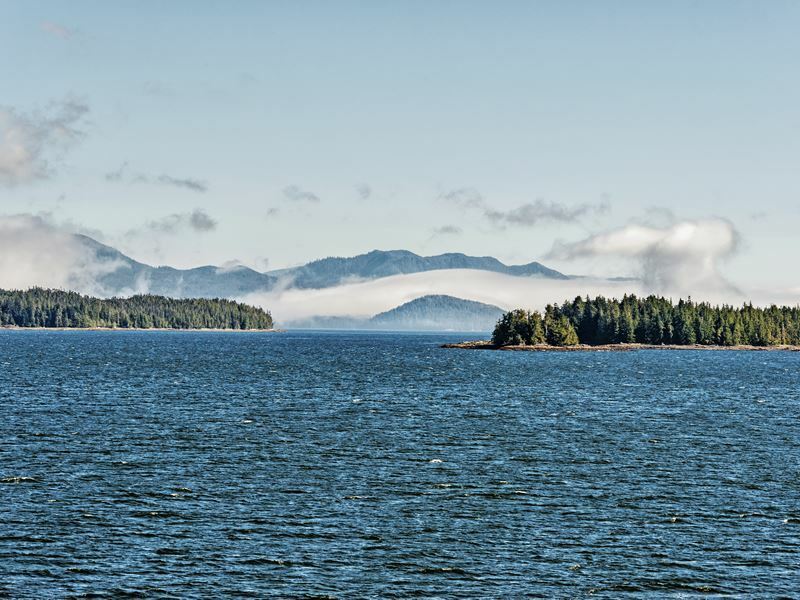 Just about every Alaska cruise incorporates the Inside Passage, the fabled 400-mile coastal route stretching from Puget Sound in Washington, through the British Columbia coast, and into the Gulf of Alaska (it is hailed as one of the world’s most scenic sea routes). Shaped by the staggering force of massive glaciers millions of years ago, this serene waterway really does have it all: 1,000 forest-clad islands, amazing fjords, idyllic bays, and huge populations of whales, sea lions, and seals. It’s also where you’ll find some of the state’s key towns, all of which have their own unique character and are easy to navigate on foot. Popular stops include Ketchikan for Creek Street, Tongass Historical Museum, and Southeast Alaska Discovery Center, Sitka for St. Michael's Cathedral, Russian Bishop's House, Sheldon Jackson Museum, and Sitka National Historical Park, and Skagway for 19th-century Gold Rush-era buildings that have been restored by the National Park Service. 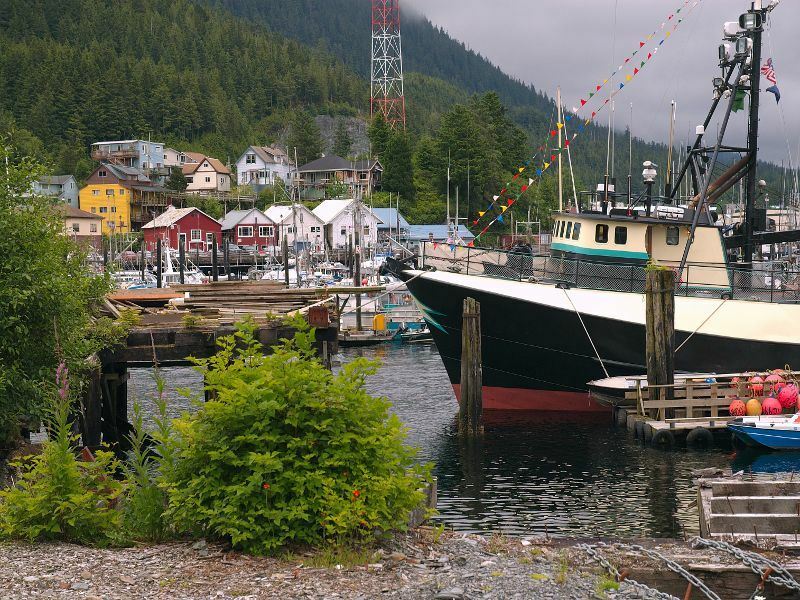 Another itinerary bonus is Juneau, the city that is one of just two US state capitals accessible only by boat or plane. Highlights here include marvelling at the icy giant that is Medenhall Glacier, riding the Mount Roberts Tramway for incredible views, and spending time at Glacier Gardens - the 50-acre botanical wonderland in the Tongass National Forest that is most famous for its 15-foot-tall upside down “Flower Tower” trees. Given that almost every major town or city in Alaska has gold mining history at its heart (the state was relatively unknown until the Klondike Gold Rush of 1897-99 when thousands of schemers and stampeders poured into the newly-created tent and shack towns of Skagway and Dyea - the jumping off points for the 600-mile trek to the goldfields). Some of the best experiences include following the trail of the wide-eyed gold prospectors along the White Pass and Yukon Route in Skagway, strolling the Red Light District of Creek Street in Ketchikan, and panning for gold at Crow Creek and Indian Valley mines. Also visit-worthy is Fairbanks, the Gold Rush boomtown that became Alaska’s largest producer of gold for the 15.4 million ounces of gold that were extracted from its mineral deposits (it was once known as “America’s Klondike”). Nowadays, it embraces its Gold Rush roots with a slew of attractions, including Gold Dredge 8 where you can enjoy a close-up view of the Trans Alaska Pipeline, hop aboard a replica of the Tanana Valley Railroad in the Interior's original goldfields, and sift through the dredge tailings for yourself. 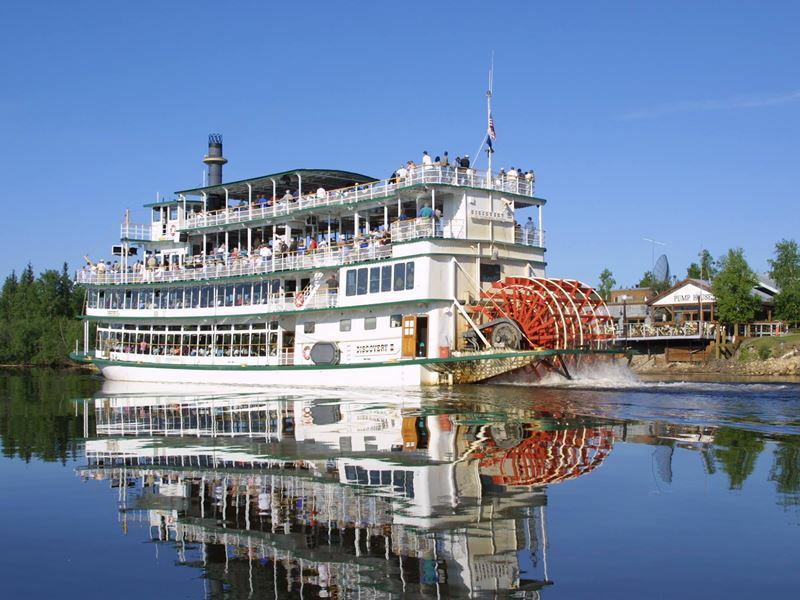 Equally fabulous is the Riverboat Discovery III, a three-hour, fully-narrated Tanana and Chena Rivers cruise on an authentic sternwheeler departing from Steamboat Landing - a replica Gold Rush-era river port complete with dining hall, gift shop, museum, and ice cream parlour. While the sea experiences are remarkable, the shore excursions (either included in the final cost or sold separately) are often the highlight for cruisers with an adventurous spirit. For adrenaline junkies, little beats bouncing over turbulent Class IV and V level white-water rapids at the three distinct canyons along Six Mile - or hiking the 8.4-mile-long Harding Icefield Trail through cottonwood, alder forests, and heather-filled meadows. There’s also whale-watching (Belugas are just south of the Cook Inlet during the summer while Greys migrate around Sitka and Kodiak in the spring), fishing for trophy-size Chinook salmon along the Kenai River, and feeling the tug of the icy tundra as you hang on for dear life on a dog-sledding tour. For those who want to slow the pace down a bit, take a ride on the Skagway White Pass Railroad and travel along the original route to the 2,865-foot-high White Pass summit, passing Bridal Veil Falls, Inspiration Point, and Dead Horse Gulch - or board the peaceful Scenic River Float Tour to enjoy a smooth ride along the Taiya River. Alternatively, take a scenic flight from Ketchikan to the Misty Fjords National Monument on the Misty Fjord Floatplane (this includes an exhilarating landing on an alpine lake or remote fjord) - or book a helicopter ride to soar above Alaska’s wilderness and take in jaw-droppingly beautiful views of the iconic lakes, glaciers, and mountain peaks. While there’s no shortage of wildlife-viewing to be done from the comfort of your cruise ship, nothing beats getting up-close(ish) with Alaska’s superstars at ground level. Most, if not all, Alaska itineraries will include ample time to whip out your binoculars or video camera and scale the horizon for animals big and small in prime locations (many of which can only be accessed by a small plane). Arguably, one of the best places for spotting grizzly bears, shrews, wolves, caribou, moose, Dall's sheep, arctic ground squirrels, red squirrels, foxes, and marmots include Denali National Park - the nature-rich wonderland named for the mountain that is known to most Alaskans and native Koyukon Athabascan people as Denali and to everyone else as Mount McKinley. 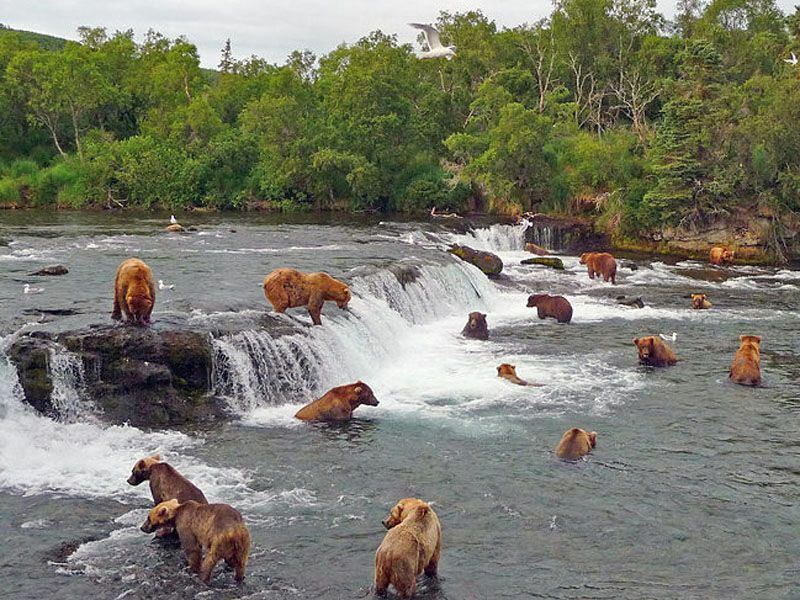 You’ll also find plenty more bears (black, brown, and polar) at Brooks Falls in Katmai National Park, the Pack Creek Viewing Area on Admiralty Island (known as Fortress of the Bears), and Steep Creek next to the Mendenhall Glacier. And then, of course, there’s the 3,670-square-mile Kodiak Island where the bear watching is nothing short of spectacular; especially at the Kodiak Brown Bear Centre located 40-minutes from Kodiak City. Led by an experienced guide, small groups of up to six people can enjoy a selection of three bear-viewing tours: Karluk River Outlet in the north, Thumb River towards the middle, or O’Malley River at the southern end. 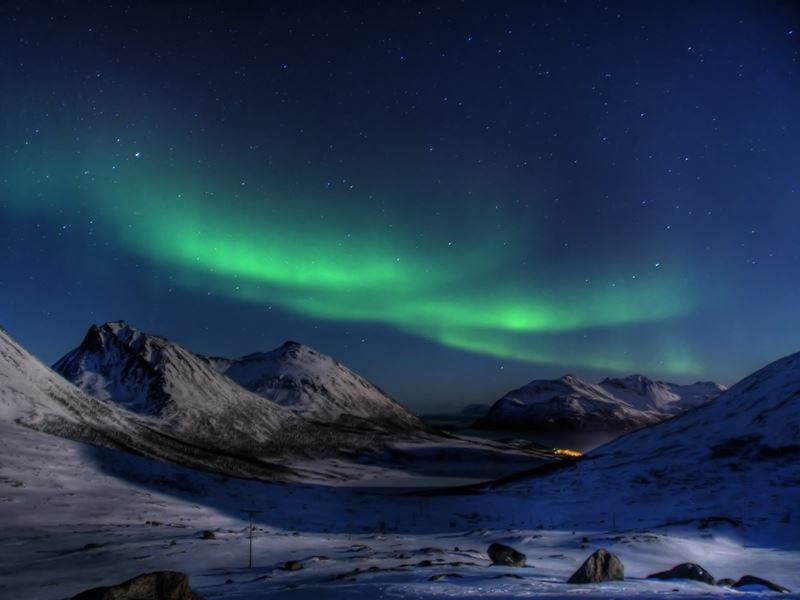 For those who are realistic with their aurora borealis goals, the best way of catching a glimpse of the swirling Northern Lights is to book your Alaska cruise as early or late in the season as possible (late April and late September both offer significantly longer hours of darkness than the mid-summer months). However, if you are committed to travelling in the summer season only, you may get see the lights in motion by hopping on the Alaska State Ferry - the Alaska State Highway System’s year-round service that covers 3,500 miles of coastline and connects over 30 communities from Bellingham to the Inside Passage communities and Haines. Further great places to see this dazzling phenomenon (the result of collisions between electrically-charged particles from the sun that enter the earth's atmosphere) include the Gold Rush boomtown of Fairbanks, the former gold-mining settlement of Coldfoo, the small northernmost town of Barrow, and the vast Wrangell-St. Elias National Park - the largest protected reserve in the United States. Equally reliable is Denali National Park & Preserve where you’re guaranteed six-million-acres of untouched Alaskan wilderness and zero human light pollution (viewing here can start as early as the second week in August and continue sporadically as the skies get darker every month). Alaska's glaciers are iconic - and there’s over 100,000 of these giant bodies or ice and snow scattered throughout the state. Arguably the best of the bunch (and the cruising industry’s crown jewel) is Glacier Bay National Park & Preserve - the extraordinary destination in the Inside Passage that spans a whopping 3.3-millions-acres (it is part of a 25-million-acre UNESCO World Heritage Site and one of the largest protected areas on the planet). The icy thrills here come fast and furious, with big-name tidewater superstars such as Margerie, Muir, Johns Hopkins, McBride, and Grand Pacific grabbing centre stage. As you might expect, the National Park Service take their role in managing this legacy very seriously - only a limited number of permits are issued each year for cruise ships who meet the strict criteria. Further geological marvels include Prince William Sound for its high concentration of sparkling glaciers and deeply-carved fjords, Worthington Glacier for its reputation as the snowiest place in the entire state, and Ruth Glacier for its wonderfully deep gorge (the ice here is 3,700-feet deep, some of it more than a thousand years-old). 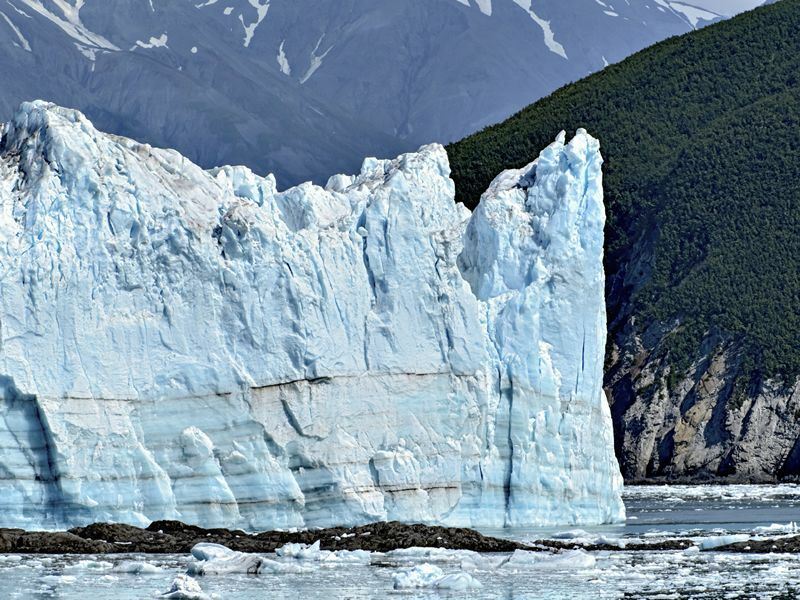 Equally visit-worthy is Exit Glacier - the Kenai Peninsula celebrity that has loomed large in the public consciousness ever since Barack Obama declared it “as good of a signpost of what we're dealing with when it comes to climate change as just about anything”.